2013: another year in cycling's inexorable rise. The 2012 Tour de France and the Olympic Games in London has catapulted Bradley Wiggins and several track stars into limelight – and a million 'mamils' (middle aged men in lycra) will be choking up the country lanes of Britain and Europe every Sunday morning. This book is unashamedly written with love for the mamil. The mamil dreams of the romance of the great pro races such as Paris-Roubaix plus weekends away in Italy and France, not to mention the home-grown routes in Wales and Scotland. He wants to walk back into work on Monday morning and announce with a flourish: "This time yesterday morning, I was half-way up Alpe d'Huez." 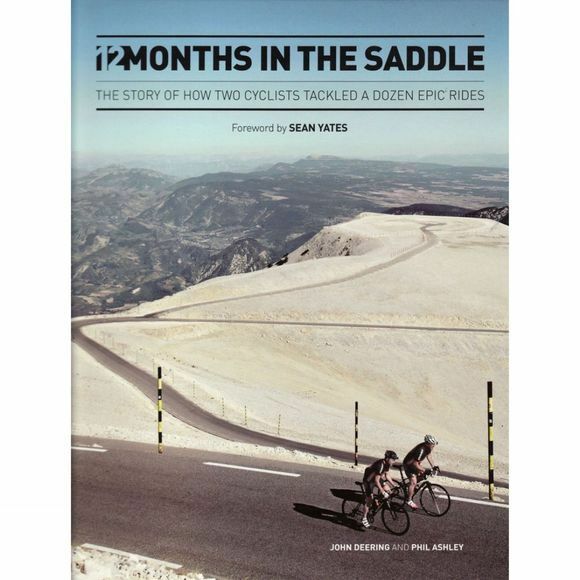 Taking in 12 cycling challenges, one a month for a year, across Britain and northern and southern Europe, this beautiful book chronicles the experiences of two mamils and looks at what it takes to tackle some of the most iconic events in cycling. With breathtaking photography and lively text that conveys exactly how it feels to be by turns frozen, baked, lost, exhausted but utterly exhilarated and inspired this is a book that will resonate with any aspiring road rat.